Just saying the words Cranberry Relish is enough to get me excited about the coming holidays! I just can’t wait for Thanksgiving! My brother-in-law is making the Turkey (inherited from my Dad) and the stuffing. Mom will make a couple of her traditional favorites, like her Cipollini Onions in a balsamic glaze and some carrots. Despite the maneuvering around the kitchen and sometimes fighting for oven-space, making Thanksgiving Dinner as a group has its advantages. Many hands make light work, as they say. But Thanksgiving is one of those holidays, because it’s a quick weekend and so close to Christmas, it’s not always possible for everyone to be with family. So, sometimes, the “many hands” adage falls flat. So…how do you make a great Thanksgiving for a few folks without going completely nuts or getting stressed out? That’s what Thanksgiving and Chill month is all about here on Tiny Kitchen Big Taste, where we’re making a few of our Thanksgiving fixings and trimmings in advance so that on Thanksgiving Day, we can pretty much just chill and focus on the main course…that is, if you’re not just picking up a yummy Honeybaked Ham, which is a great option sometimes when you want a little more downtime. But let’s talk about this great Cranberry Relish that can be made a couple of days in advance. My friend, Rosanne, was visiting us in Colorado for Thanksgiving and she offered to make her famous Cranberry Relish. Silence immediately consumed the house. OK, none of that happened. Not even close! 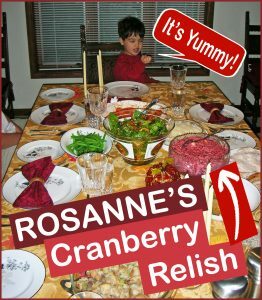 This is Rosanne’s Official Cranberry Relish from that Thanksgiving! Mom was actually super-excited that we would have something other than the cranberry sauce from the can. To note, the most exciting change in the cranberry sauce department was when we switched from the regular jellied kind to the whole berry jellied kind. All that to say, that it was a welcomed offer and since that day, it’s always the Cranberry variety that we go to on Thanksgiving. It was one of Dad’s favorites. Mine too! 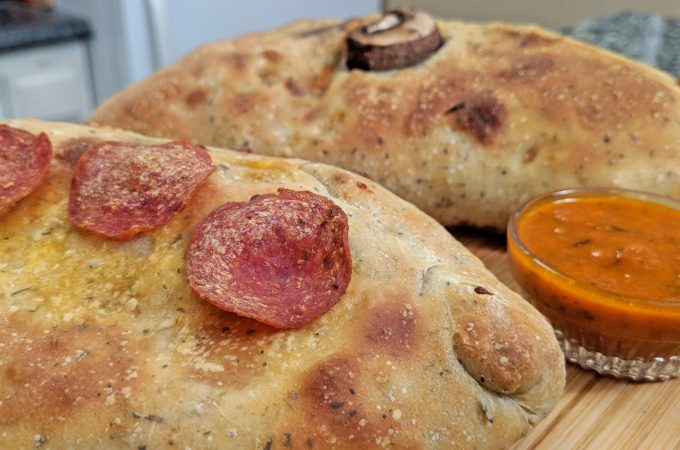 As I mentioned, you can make this a couple of days in advance because it holds up really well and it gives some time for all the flavors to marry. 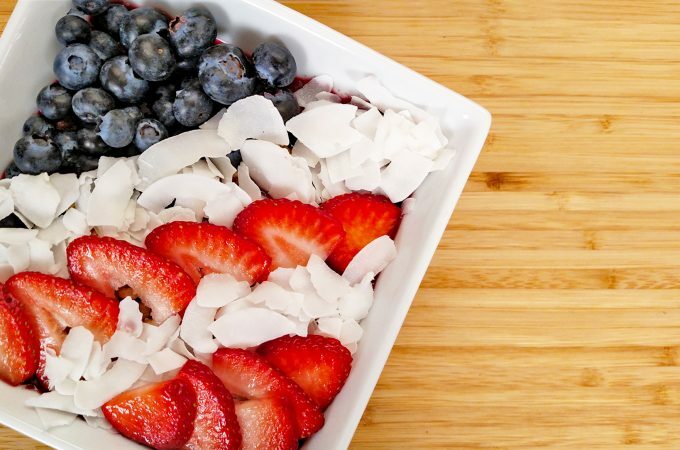 Make this on Tuesday in literally about 10 minutes tops. As for the Grand Marnier, this is completely optional; actually, it is an addition of mine that was not in Rosanne’s original recipe. It’s not needed if you don’t want to add it. I like it sometimes because it’s a flavor that people can’t really place, so I think it makes it exciting. 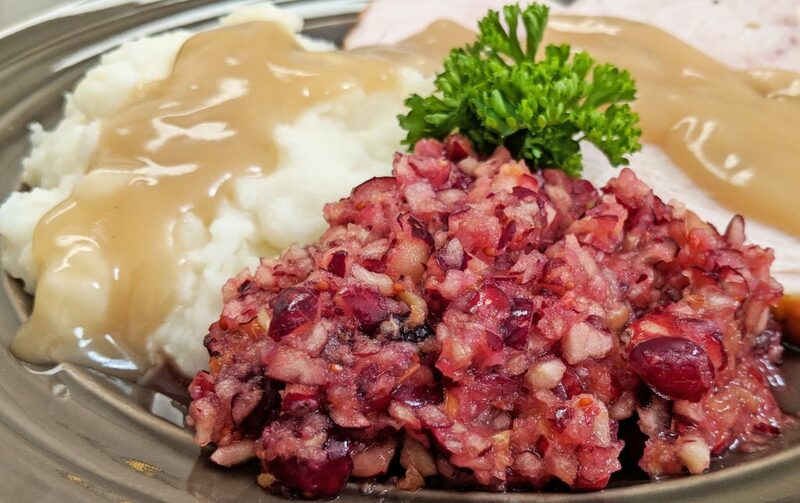 By all means, though, you can leave it out and folks will still love this Cranberry Relish. My family did! 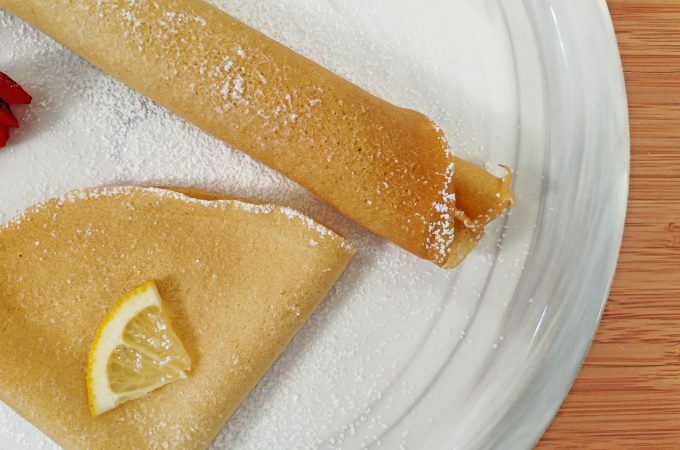 Can’t wait for you to try this one…and leave a comment below to let Rosanne know how much you love her recipe. 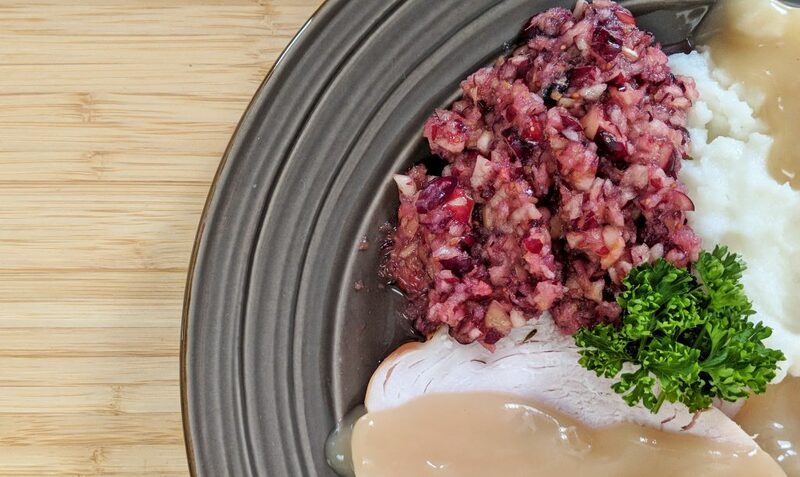 Heck, post a pic of your Thanksgiving Day fare with this Cranberry Relish on IG and tag us in it (@tinykitchenTV). I always love to see your creations! Oh, and I almost forgot, this Cranberry Relish is perfect on leftover Turkey Sandwiches…like our Tiny Kitchen Big Taste Drunken Turnkey Sandwich! This Cranberry Relish is a great alternative to the regular Cranberry Sauce you get in the can. 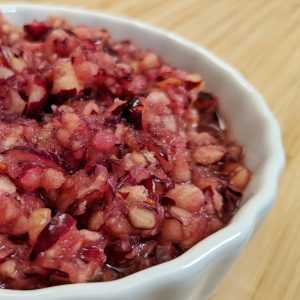 It’s vibrant and fresh and even better, you can make this great Cranberry Relish a couple days in advance so that on Thanksgiving Day, you can have more time for other things! Peel one-half of an Orange and cut into a few smaller pieces. Place in Food Processor. Core apple and cut into a few smaller pieces. Place in Food Processor. Drain Crushed Pineapple. Place in Food Processor. Blend for a few second. Add Cranberries and 1/2 of the Sugar. Blend until chopped. Taste and add more Sugar if necessary. Add Grand Marnier (optional) and blend to Mix.